Find a design from our products and decide if you need just the logo or just social media and purchase the products you will need. 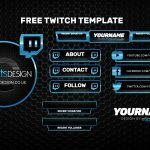 You then receive the design files in PSD format along with the necessary Font files which need to be installed before you can edit the template text. You will need Photoshop or other design software to do this, alternatively there are custom design purchase options available on the product pages where a designer will edit the templates for you. HOW DOES CUSTOM DESIGN WORK? Select templates from our products or use our quote form to send us the details of your custom design request. Your designer will contact you with a quote and an invoice for 50% of the total quote value, once paid we begin working closely with you to create your design and bring your ideas to life. 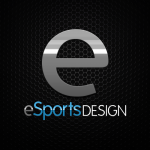 We will provide you with updates so you can keep track of progress or request specific changes to the design. Got a question for us? Send us a message using the form below.